With an Ohio power outage, residents have taken it on themselves to look for the right remedies. And the best one is to invest in a quality standby generator. 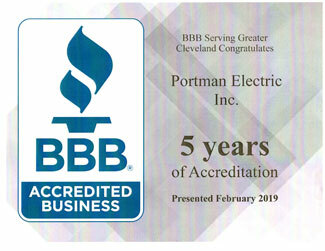 states Jeff Portman, Owner of Ohio Generator Experts. With the occasional Ohio power outages, residents and businesses have taken it on themselves to look for the right remedies. And the best one is to invest in a quality standby generator. It is because of these generators in Cleveland, Ohio that people can keep up with the outages that frequent their areas. For an uninterrupted flow of their daily life, people have started investing in quality generators in Cleveland, Ohio. Home owners and commercial businesses have a plethora of reasons to buy a standby generator in Cleveland and Northern Ohio. Choosing the best generator for the job comes down to thoroughly assessing what you need your generator for, where you’ll be using it, and what features it needs. So if you are a resident of the area or run a business in Ohio, here are a few reasons that’ll make you consider getting a generator. Prolonged power outages mean you’d have to relocate and possibly book a hotel overnight. With generators in Cleveland, Ohio you can save money. A home generator in Cleveland, Ohio will help keep the lights on as well as the heating and cooling system, ensuring that anyone in the home will be comfortable and safe, no matter the weather. Resale value of a residential property increases by an addition of a high quality generator. It also tends to give your house a differentiating factor from other properties. By investing in generators in Cleveland, Ohio, you can avoid business interruptions that can risk you losing crucial operations. In the event of a major storm, data stored on hard drives that you, your employees and your business rely on could be lost. Avoid lost revenue, time spent without electricity is going to lead to lost revenue and lost product if items need refrigeration. With generators in Cleveland, Ohio, you can prevent loss of information due to power outages. When facing prolonged power outages, your house or commercial property needs an efficient energy supply. With standby generators in Cleveland, Ohio, you can say goodbye to any hassle. They come with an automatic switch and start system. They are permanently installed and provide backup power protection for the whole property. They are highly powered and work perfectly for large scale commercial businesses. So whether you need to run the HVAC system, or are looking for a solution for your business needs, standby generators in Cleveland, Ohio provides peace of mind. Mobile/Trailer mounted generators can provide power for your tradesman on the job site and ensure the progress of your construction workers is completed timely. When facing a short power outage, a portable generator can help you out. They can provide enough energy for some basic household or business operations on an emergency basis. They can be easily transported and hence are preferred as camping essentials too. When choosing generators in Cleveland, Ohio you need to give it a thought and choose the best based on fuel type. There are several options and it’s all a matter of perspective. Some people prefer gasoline generators in generators in Cleveland, Ohio, while others are a fan of propane. Each option has its fair share of advantages and drawbacks. What you need is an expert to guide you in choosing the fuel type that works best for your individual needs.